On an evening in 1947, the British crime novelist, essayist, poet, and playwright Dorothy Sayers delivered a speech at Oxford University that has since generated a small revolution. Sayers’ essay, The Lost Tools of Learning, is at once a lament and a wondering aloud. She laments the low and continuing degeneration of the modern educational enterprise while wondering to her listeners if, perhaps, the educational methodology that produced the modern western world might be recovered. 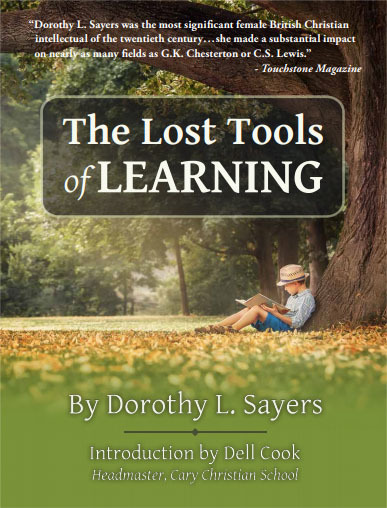 The Lost Tools of Learning is optimized for printing or reading on your favorite electronic device in PDF format. Fill out the form below for your free download. We will never share your contact information and will only contact you with your permission.